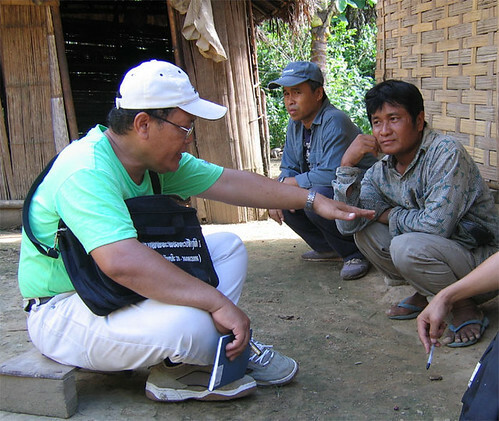 Bounheuang Bouasisengpaseuth (left) negotiates with the village headman so that MMAP can have access to potential archaeological sites on his land. Bounheuang is Deputy Director of the National Museum in Vientiane and Co-director of the Middle Mekong Archaeological Project (MMAP). His research interests are Lao prehistory, ceramics, and the protection and conservation of Lao cultural heritage. In 2011-2012 he was a visiting scholar at the University of Pennsylvania Museum. There he studied the ceramics of Ban Chiang while taking a year-long ceramics analysis course and doing laboratory work with Ban Chiang ceramic artifacts. Read Bounheuang’s Blogs on the Penn Museum’s website. Since 2005, The Middle Mekong Archaeological Project (MMAP) has excavated and surveyed numerous sites along the Mekong and its tributaries around Luang Prabang in northern Laos, with the goal of investigating early human settlement of the Mekong Valley. To date, 85 historic and prehistoric sites have been recorded and four sites have been excavated. 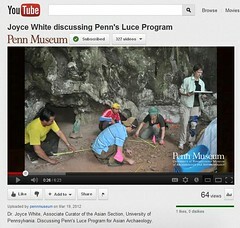 Penn's Luce Program for Asian Archaeology. 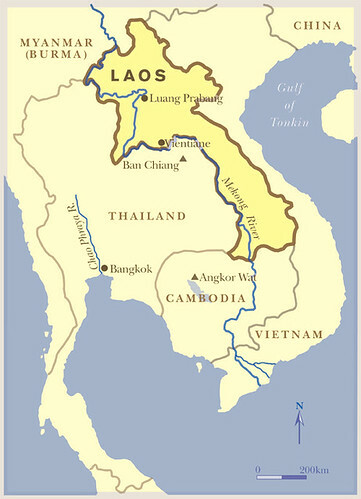 MMAP works in Laos, in Southeast Asia. Copyright Middle Mekong Archaeological Project. All Rights Reserved.